You’ve set your date and visions of your dream wedding dance through your head, every last detail coming together at the perfect moment to create a stunning display of love and commitment. Achieving the perfect wedding sounds amazing in theory – but how do you do that on your own? Seeking the help of a wedding planner cuts stress levels in half and ensures your special day goes off without a hitch. But, you need to do your research to find the best wedding planner. Expertly planning a wedding takes years to figure out and over those years, planners make connections with countless vendors and stock up on plenty of resources. Find out how long each wedding planner has worked in the business and their background leading up to wedding planning. 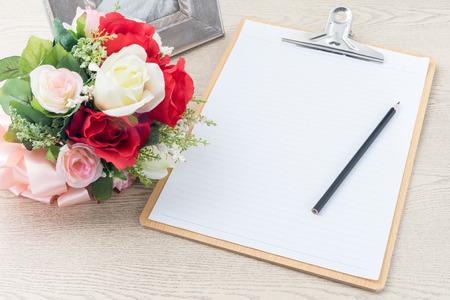 Asking about a planner’s experience can help you spot the difference between a novice wedding planner still learning the ropes and a seasoned planner able to handle potential day-of disasters. What made each planner interested in wedding planning to begin with? What are the planner’s views on marriage? These are all questions to ask to determine a wedding planner’s motives, knowledge, and capability for pulling off your big day. Keep an overall maximum wedding budget in mind and think about what services you need (and don’t need) from a wedding planner before you start interviewing eager candidates. This way you can create specific questions to ask about the planner’s wedding packages and not walk away with unnecessary extras your ideas didn’t include. Ask which packages would work best for you based on your budget and vision. Can you alter and customize packages to fit what you need? Does the planner offer discounts or special pricing depending on the season? What are the policies for payment and what does the payment breakdown look like? Successful wedding planners build up a bevy of glowing recommendations and can show you numerous references and testimonials of weddings they have coordinated in the past. Detailed references help you understand the way the wedding planner operates under pressure, handles stressful situations, and uses creative problem-solving to ensure your day is picture-perfect. If you plan on getting married in gorgeous Key West, Aaron’s Key West Weddings is the wedding planner, officiant, and coordinator for you. After working as a concierge for 10 years in Key West’s largest and most prestigious hotel, Aaron learned the ins and outs of Key West and how to best enjoy it. Aaron’s view that people are meant to share their lives with someone special fuels his desire for planning your perfect wedding. Experience planning hundreds of weddings and flexible wedding packages makes Aaron’s Key West Weddings a top-rated wedding coordinator. Contact Aaron’s Key West Weddings to start planning your beautiful beach wedding today!